It’s been awhile since I’ve done a pink color of the month. I’m skipping my table setting this month, but I’ve got a teeny eeny pink play place setting on my side table. 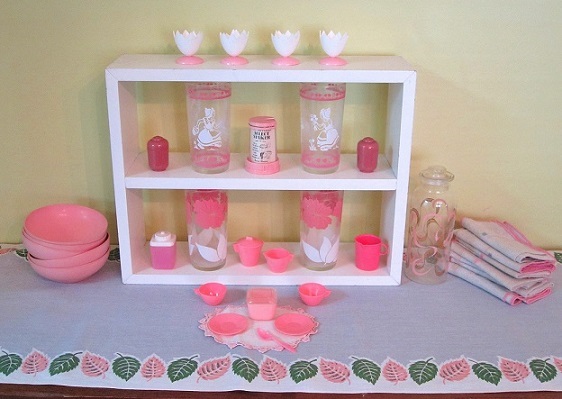 Fave items: the mini plastic play place setting including the teeny tiny refrigerator container, fun egg cups, tiny doily, pink salt and p's, linen place mat stack, vintage flower and Dutch glases, melmac bowls, and of course the awesome vintage table runner!